According to Evoke Motorcycles, Project M1 seeks to fill the gap in the market for a competitively priced EV, which is pitched against 125cc to 150cc ICE-driven competitors. The Indian government’s aggressive drive for electric mobility in the country, more recently profiled in the FAME II Scheme, is also evincing interest from foreign electric vehicle manufacturers. China-headquartered Evoke Motorcycles is one of them and, from the looks of it, the company is plotting a big assault on the Indian electric two-wheeler market. The company’s India programme involves making India its vehicle design-centre and also a potential export and production hub. 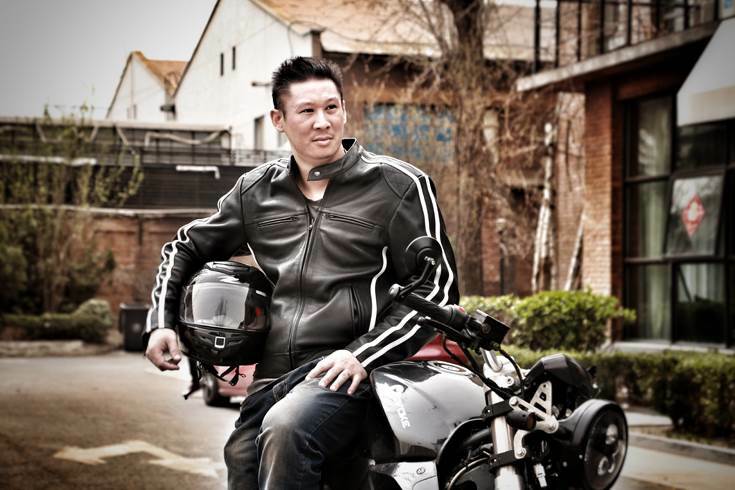 “This is something that’s on the cards,” says Nathan Siy, co-founder and CEO, Evoke Motorcycles, in an exclusive interaction with Autocar Professional. Nathan Siy, co-founder and CEO, Evoke Motorcycles: "We continue to investigate the potential for using India as our exporting and production hub into the global market." At present, the company sells two models in China, Europe and USA — the Urban S and the Urban Classic (Generation 1) — which have European certification and homologation. Later this year, Evoke will launch the 6061, a premium cruiser-style bike. According to Nathan, the Evoke 6061 has “serious torque and some exciting features catering to riders seeking a balance between power and comfort. Lastly, our third platform (Codenamed 'Project M1') is an entry-level bike catering to a more cost-sensitive consumer, while still ensuring the very latest innovation in the EV space is provided to them." Evoke Motorcycles' India market entry strategy constitutes Project M1 for an electric motorcycle. Commenting on the company's outlook and plans for India, the world's biggest two-wheeler market, Nathan says, "Project M1 seeks to fill the gap in the market for a competitively priced EV, which is pitched against the 125cc to 150cc ICE-driven competitors. Project M1 is a result of the demand and interest from the Indian market. At Evoke Motorcycles, we are exploring the introduction of the new platform alongside our Evoke charging stations to assist in laying the footprint and infrastructure for EVs in the country." One of the propositions the company brings through its electric two-wheelers is its proprietary patented fast-charging capabilities. In fact, Evoke claims that its bikes can be charged from zero to 80 percent in just 15 minutes. This could be a revolutionary breakthrough that can be a potential game-changer for increasing adoption of EVs globally. Interestingly, Nathan reveals that to ensure that Evoke Motorcycles' customers do not miss out on fast-charging capabilities, the company is also exploring setting up of Evoke Charging Stations in the domestic market. “There are some advanced talks going on," he discloses. While the company is not currently sourcing any parts from India, it is exploring opening an EV design centre in the country. However, it sees its powertrain and battery R&D operations remaining in Mainland China. "We continue to investigate the potential for using India as our exporting and production hub into the global market and will keep the market updated as we progress. Any developments of this nature are always considered first and foremost from the customer impact, which is followed by the financial implications," adds Nathan. He further reveals that the company plans to have at least 70 percent localisation level for Project M1 in India, with the only exception being the "powertrain" in the immediate future. Another area the company is looking at before beginning sales in India is to address the charging network issue, by supplementing the existing vehicle charging infrastructure in the country through setting up light- and cost-effective EV charging stations dedicated for two-wheelers. 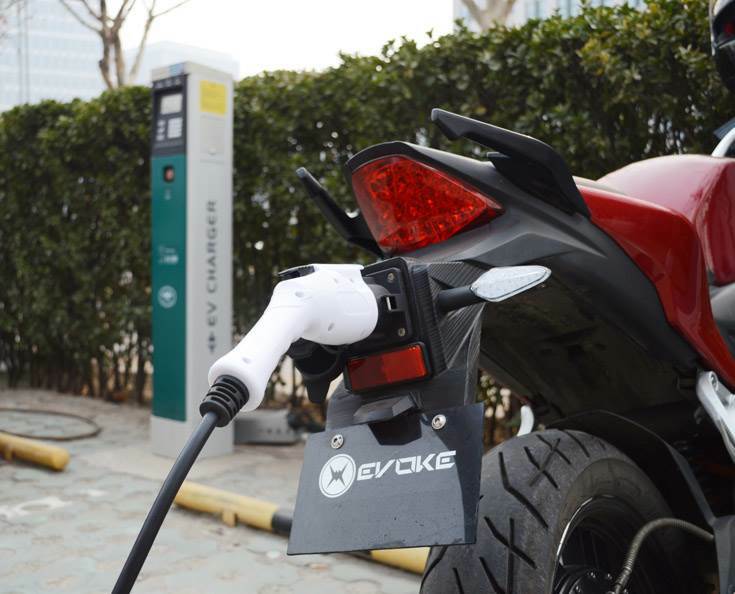 Evoke Motorcycles plans to supplement the Indian electric two-wheeler charging infrastructure through specific charging stations, which it says will form a fundamental part of the greater Project M1. Nathan says the company's efficient charging technology is a result of developing a sophisticated thermal management, battery management algorithms and a unique charging software. This system is critical in ensuring battery safety and also helps preserve battery life. The company claims 15-minute Ultra-fast charging (1 module) with Level 2 charging facilities (7.7kW max output); 15-minute Ultra-fast charging (3+ modules) with DC fast charging facilities (50kW max output). According to Nathan, to make headway in India, the company will use its learnings from the cost-conscious Chinese market in addition to the quality standards demanded by the European market, and thus come out with a smart customised approach. The company is looking to set up its India base in Pune or New Delhi, but remains "flexible at this stage."